Chris Wright, International Director of Langham Partnership International and retiring Chair of the Lausanne Theology Working Group, delivered the day’s boldest statement: ‘Evangelicals worldwide have a lot to be ashamed of . . . we need a second reformation.’ Though hard-hitting, Dr Wright’s words touched a note among the crowd as applause immediately broke out and heads nodded in approval. "Let the business of the world take care of itself … My business is to get the world saved; if this involves the standing still of the looms and the shutting up of the factories, and the staying of the sailing of the ships, let them all stand still. When we have got everybody converted they can go on again, and we shall be able to keep things going then by working half time and have the rest to spend in loving one another and worshipping God." A cowboy, who just moved to Wyoming from Texas , walks into a bar and orders three mugs of Bud. He sits in the back of the room, drinking a sip out of each one in turn. When he finishes them, he comes back to the bar and orders three more. 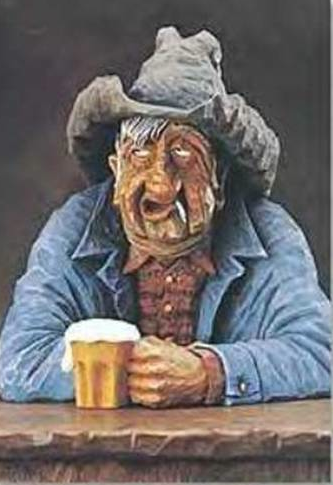 The bartender approaches and tells the cowboy, "You know, a mug goes flat after I draw it. It would taste better if you bought one at a time." The cowboy replies, "Well, you see, I have two brothers. One is in Arizona , the other is in Colorado . When we all left our home in Texas , we promised that we'd drink this way to remember the days when we drank together. So I'm drinking one beer for each of my brothers and one for myself." The cowboy becomes a regular in the bar, and always drinks the same way. He orders three mugs and drinks them in turn. One day, he comes in and only orders two mugs. All the regulars take notice and fall silent. When he comes back to the bar for the second round, the bartender says, "I don't want to intrude on your grief, but I wanted to offer my condolences on your loss." The cowboy looks quite puzzled for a moment, then a light dawns in his eyes and he laughs. 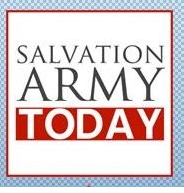 "Oh, no, everybody's just fine," he explains, "It's just that my wife and I joined the Salvation Army and I had to quit drinking." "Hasn't affected my brothers though." THE anticipation was palpable as 49 officer and soldier delegates from 26 Salvation Army territories gathered in the historic mansion of Sunbury Court near London in the UK for the commencement of the International Theology and Ethics Symposium, a global gathering of Salvation Army theological thinkers and ethicists. A symposium is defined as 'a formal meeting where several specialists make presentations'. 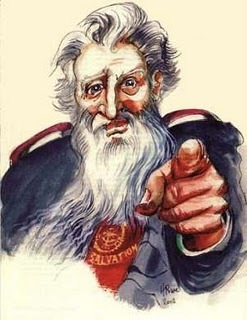 In that purposeful regard this gathering of Salvationists is accurately convened. This is the third in a series of symposia, following on from gatherings in Winnipeg, Canada, in 2001 and Johannesburg, South Africa, in 2006. Collectively they have produced a collation of doctrinal and theological papers that articulately convey Salvationist scholarship. Sunbury Court 2010 will augment this collection. Called by the international leader of The Salvation Army, General Shaw Clifton, and steered by the International Doctrine Council (IDC), these appointed delegates, representing a wide array of appointments and ministries, communicated a collective sense of privilege for the opportunity to attend and participate. 'We come as Salvationists, [as part of] God's divine design,' observed Commissioner William Francis, Chairman of the IDC, in his opening welcome. During the opening evening delegates saw a documentary video of the historic first High Council convened at Sunbury Court in 1929, culminating in the election of General Edward Higgins, the Army's first elected international leader. Commissioner Robert Street, vice chair of the IDC, presented the opening paper by General Shaw Clifton: 'Our Holy Heavenly Father – Characteristics of a Holy God'. The tone for the symposium was set with a cogent, scholarly and forthright treatise that arrayed essential attributes of the first person of the Trinity. Christ, and only Christ, in me. 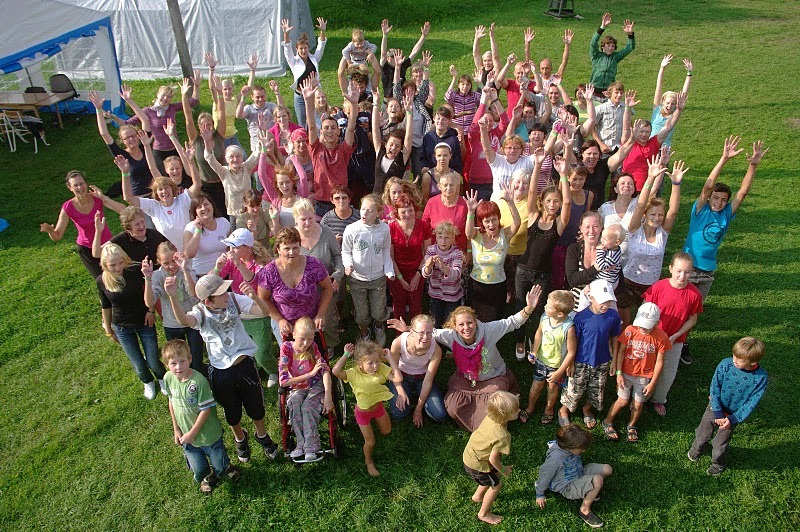 Two big “Family.camps” have taken place at the Salvation Army Camp Site on the West Coast of Latvia. They gathered approximately 100 people each of all ages. During the summer our youth and children workers have arranged five week-long day-camps all over Latvia. In Seda, Riga, Bauska, Liepaja and Drusti. The childrens camps season ended with a weekend camp with children from all the different camps during the summer. Our different Children Centres have also had their summer camps. The Orphanages in Riga and Skangale and the “after-school”-centre Patverums. The number of members is still increasing in Latvia. During the summer the corps in Liepaja on the West-Coast welcomed twelve new members. …and seven adherents, all men. The corps in Liepa, a small village north east of Riga, welcomed in September 10 new junios soldiers, all boys. So when all the girls in Liepa find out where all young boys are, they will surely also join the Salvation Army. After several months of preparation we started the new session at the Training School in Riga. We have prayed for six new cadets and when it was time for the opening of the school we welcomed eight cadets. We have also received new staff for the School for Officers Training. Norm and Isabel Beckett from Austalia. Norm is Training Principal and Isabel is Education Officer. At the Regional Day for Latvia people travelled from all over Latvia for the welcome meeting of the new cadets, the new Training Staff and a new Envoy. The hall was full and at the end of the meeting the new cadets were greeted with flowers according to Latvian traditions. Normally we gather all leaders in Latvia for a monthly Leaders´meeting. We started the fall semester with a two day gathering for our Leaders in Tallinn together with Leaders from the Salvation Army in Estonia. Sarkani village has a population of about 70 people. Eighteen of them are children and almost all of the parents are alcoholics. The children are very much left alone and we have for a time had a dream of creating a Children´s House in the village. To change one of the old grey houses to a house full of colours. The living conditions in the village are very poor. Most houses lack both water and sewer and some of the children have never seen a shower. A donation made it possible for us to buy a house in the village and change it into this Children House. The project is called “Change a Village” and our aim is not to build houses but to build people. We have two great social workers visiting the poorest families in Riga. We have for a long time dreamt of creating a Social Centre where these people can com to receive fodd parcels, clothes, take a shower and wash their clothes. A donation just made it possible to open this centre on Avotu Street. You can see the Centre on the picture below. The signs are not there yet but they will be within short. The outpost in Seda has from its start been located in a small room at one side of the ambulance central. Now the Ambulance Central has moved and we have a rental agreement with the local authorities to rent the whole house without payment. When the main Salvation Army building was built 1939 it was a free drive-way from our yard to the street. When the occupation came, both of the country and of our house, the drive-way was closed by a wall and some storage rooms. We have since we got the house back been depending on our neighbours to be able to get out from our yard. One of the grounds we have to pass is a school yard, which has caused us a lot of problems. Now we are again opening the drive-way which will lead us out in freedom. 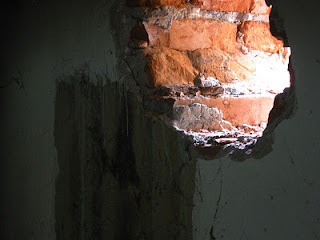 This picture shows the first day when builders broke through the wall to the street. We pray for a Breakthrough, not only in the physical world, but also in the spiritual.